We use the most highly developed procedures to treat patients of all ages suffering from complex life-threatening neurovascular conditions. 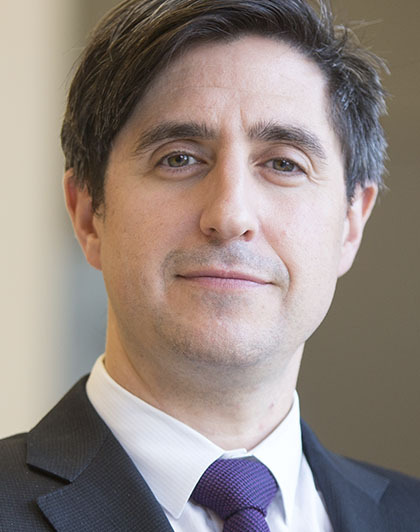 The Montefiore Neurovascular Center team comprises the highest caliber neurosurgeons, vascular neurologists and neuroradiologists. Our multidisciplinary team possesses advanced fellowship training, experience and expertise in the latest technology and techniques for treating conditions, including strokes, aneurysms and vascular malformations. Montefiore is the only medical center in Westchester and the Bronx with the prestigious CSC designation. We are also one of only three medical centers in the New York metropolitan area to offer state-of-the-art services for complex cases. 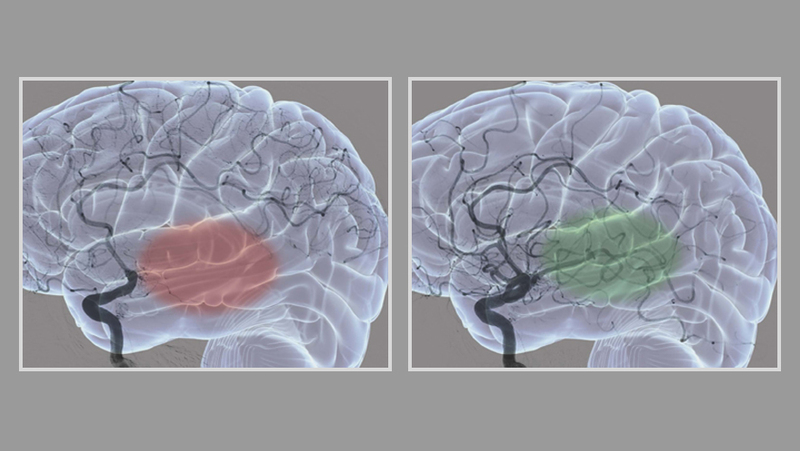 Left: Imaging shows the brain at imminent risk of a permanent stroke (represented by the red area) because the blood vessel is blocked by a clot. Right: The blood flow to the brain has been restored by the endovascular removal of the clot, eliminating the risk. Our Neurovascular Program offers a complete array of contemporary surgical solutions, including endovascular, open and hybrid, all in one convenient community setting. When necessary, these services are available at a moment's notice to ensure the highest quality of care possible right when it’s needed most. The Montefiore Neurovascular Center delivers positive health outcomes through the combined collaboration of our talented physicians, surgeons, nurses and other specialists. Our neurovascular team treats a variety of conditions, a selection of which you will find listed below. In addition to these, we have experience in treating many other conditions. Please contact us today to schedule a consultation so that we can review and discuss your specific healthcare needs. Treatment plans are designed to maximize our patients’ care, returning them to health as quickly as possible. For those seeking further information, we have included a few examples of the treatments we offer at the Montefiore Neurovascular Center.